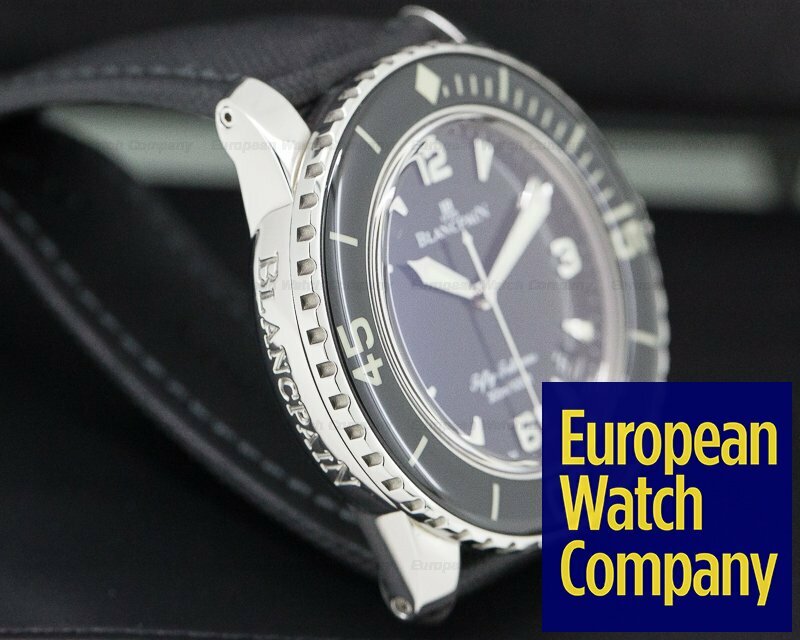 29907 Blancpain 5015-1130-52B Fifty Fathoms Automatic, 5015113052B, stainless steel on a strap with a stainless steel tang buckle, Automatic Blancpain Caliber 1315 movement, date between 4 and 5 o'clock, black dial with applied luminescent stick markers, 60 minute unidirectional sapphire bezel, 120 hour power reserve, sapphire crystal, screw down crown, water resistant to 300 meters or 50 Fathoms (1 Fathom = 6FT), diameter: 45mm, thickness: 15.5mm, Like New with Original Box and Papers dated November, 2014. 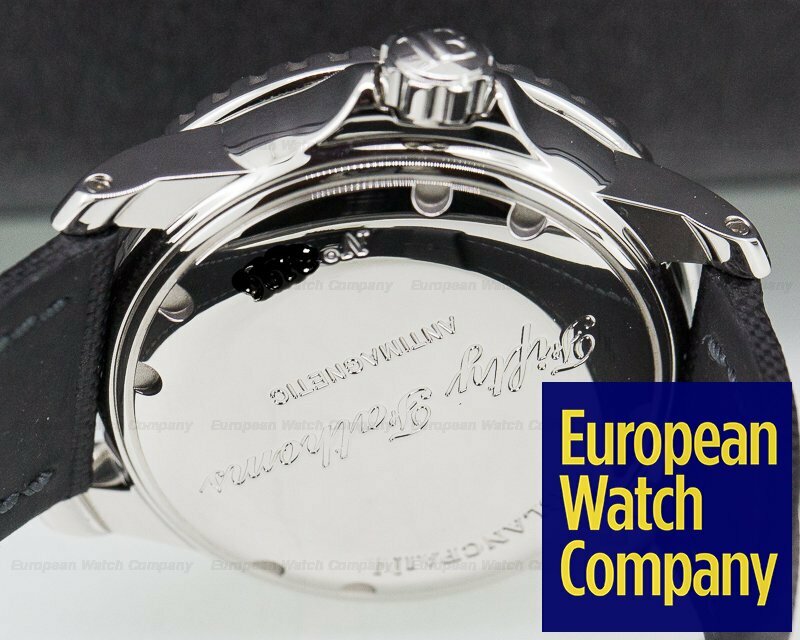 This is a stainless steel Blancpain Fifty Fathoms Automatic 5015-1130-52. 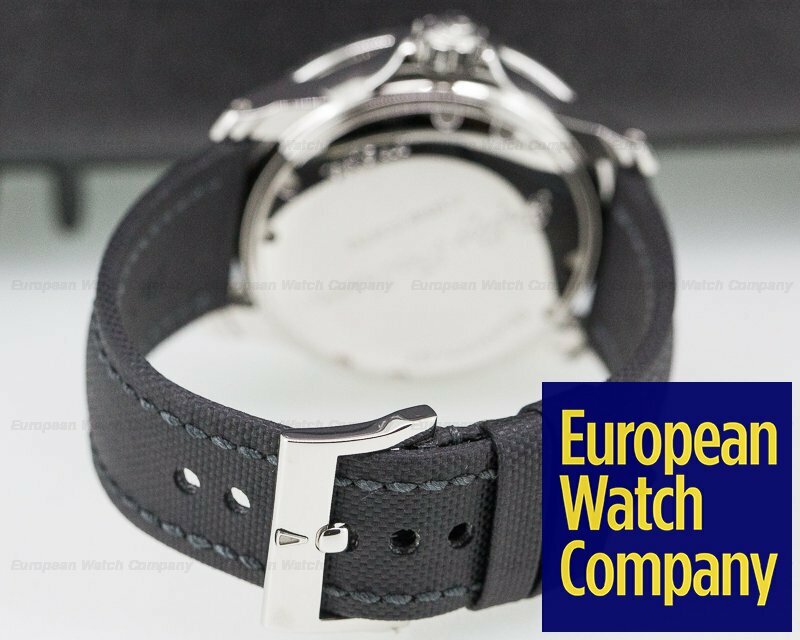 It has a leather strap with a matching stainless steel deployant buckle, and a scratch resistant sapphire crystal. The 45mm diameter solid three-body case, knurled, 60-minute sapphire unidirectional bezel, curved lugs, and screw down crown are polished and brushed. The dial is black with applied luminescent Arabic numerals with Super Luminova inserts at 3, 6, 9, and 12 o'clock, steel baton shaped hour indexes with Super Luminova inserts at the alternate hours, and a center sweep seconds hand. It has an outer minute/seconds ring. The date aperture is between 4 and 5 o'clock, and there is a power reserve of 120 hours. 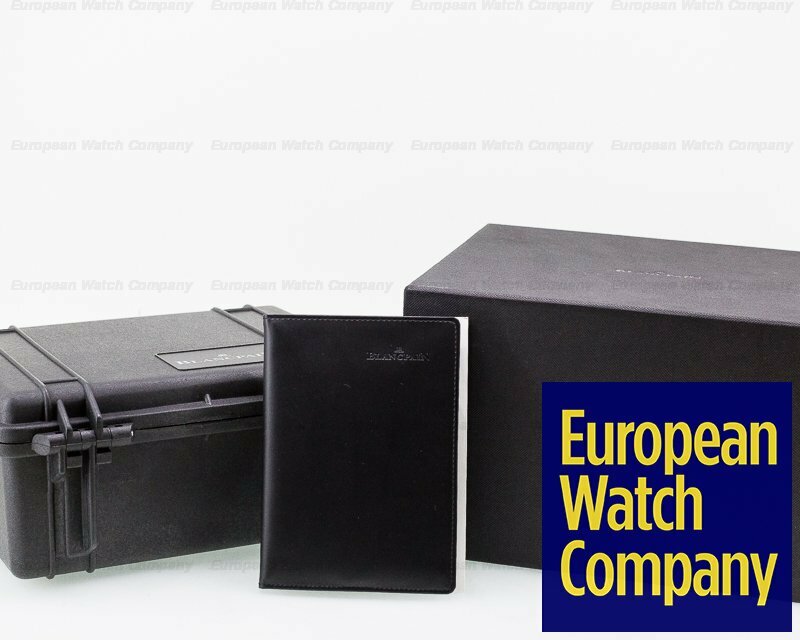 It's water resistant to 300 meters (30 atm/985 ft), and the 15.5mm thick case, dial, and movement are all signed. 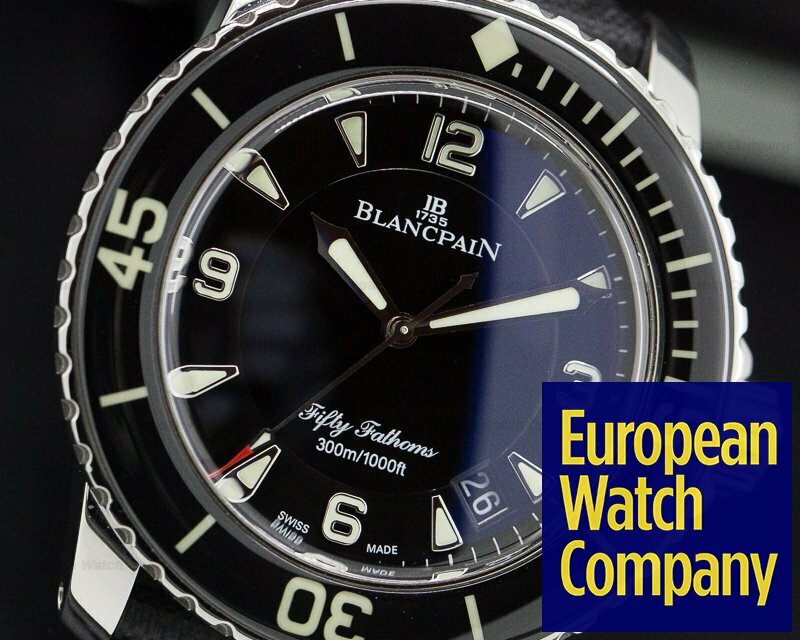 This Blancpain Fifty Fathoms Automatic 5015-1130-52 has a mechanical automatic self-winding Blancpain calibre 1315 movement that's rhodium-plated with fausses cotes embellishment and an inner anti-magnetic cage. It's constructed with 35 jewels, 227 components, and a shock absorber mechanism. There is a straight-line lever escapement, a beryllium balance, a self-compensating flat balance spring, and a hacking seconds mechanism. 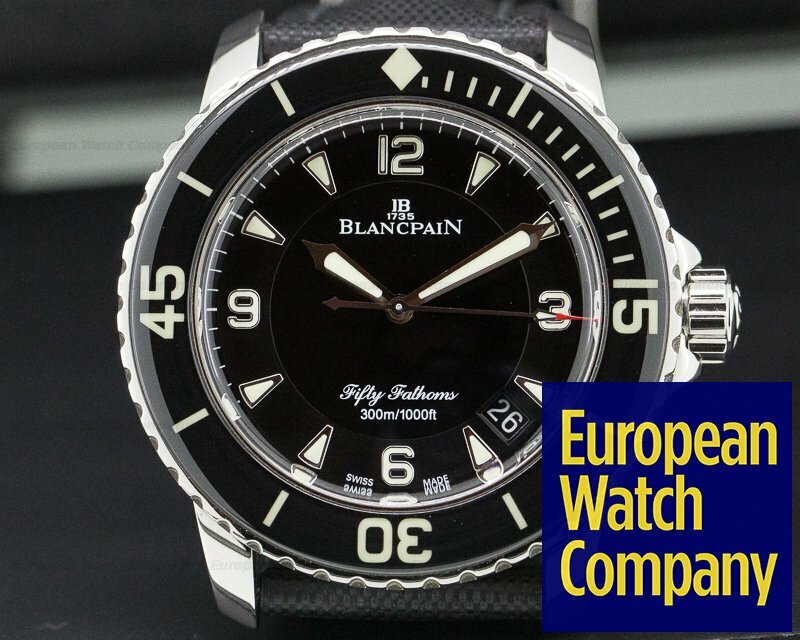 Blancpain's Fifty Fathoms collection goes back to their first modern diver's watch in 1953. 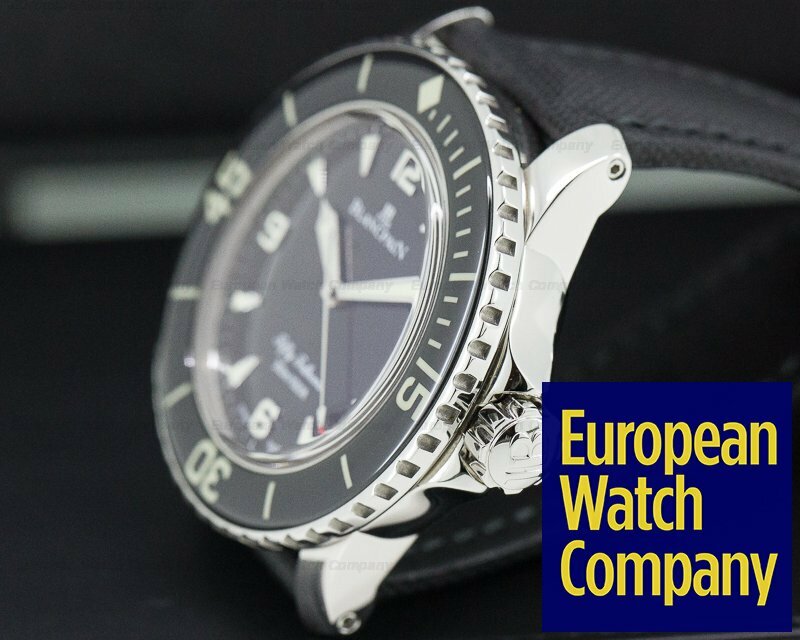 It had been discontinued and when Marc A. Hayak became CEO of Blancpain SA in 2002, he brought back the Blancpain Fifty Fathoms Automatic 5015-1130-52 which is still one of the premier diving watches in the world.